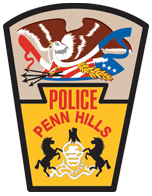 Joker joined the Penn Hills Police Department in July of 1986 and began training with his handler, Officer Paul Schawalder. After they completed their training, Joker and Officer Schawalder patrolled the community together, primarily on the afternoon shift. On Monday, February 2, 1987, the duo responded to a call for a possible stolen vehicle that was sitting in an abandoned ball field off of Mason Road. They arrived on scene and located a car sitting at the other end of the field. As they were approaching the vehicle, Officer Schawalder released Joker to investigate the area ahead of him. Moments later he heard what he believed was a gunshot. Upon hearing the shot, Officer Schawalder called out commands for Joker to track the suspect. Joker remained in place with his front paw raised in the air. As Officer Schawalder approached him, he saw that Joker was bleeding from his front shoulder area. He immediately called for an ambulance and Joker was taken to the closest veterinary hospital. He was given a blood transfusion and underwent emergency surgery; however, Joker did not survive. He was three years old. A juvenile suspect was apprehended and charged with killing Joker, though no firearm was ever recovered and he never admitted to using a gun. The veterinarian that treated Joker was unable to confirm that his wound was the result of a bullet or an edged weapon. Joker was laid to rest in the Animal Rescue League’s Rosedale pet cemetery. 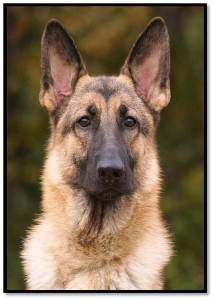 Officer Schawalder went on to handle two more police service dogs before retiring from the Penn Hills Police Department.